Japanese literature today is robust and varied, continuing to gain both critical and popular success in the US and around the world. The contemporary literature project was conceived with the intent to capture this diversity, while introducing authors whose works are not yet fully represented in English translation. 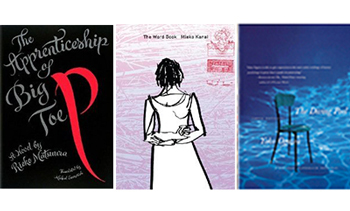 Under this project, a diverse selection of English translations of contemporary best-selling Japanese novels are made available free of charge to interested groups. Recipients can be reading groups, university or high school classes, or any other groups within the U.S. interested in exploring Japanese culture through contemporary literature. Please e-mail info@jfny.org or call 212.489.0299 for more information.